Luxury fashion houses have recently begun inviting renowned artists to add artistic sophistication to their style. Three respected photographers, Annie Leibovitz, Juergen Teller and Bruce Weber, participated in the campaign “Series 1,” which features Ghesquiere’s muse Charlotte Gainsbourg and two other models. Photo shoots under the new three-part campaign for the 2014-2015 fall and winter collection involve the three photographers in the form of mise en abyme, or one image containing another image. “The campaign brings artists together. I wanted them to share their personal and very precise vision of modern-day fashion. They were willing to play this enjoyable yet risky game where they would offer up their distinct visions to critical examination. For the first time ever, each accepted that their work would be mirrored by another great photographer,” said Ghesquiere. Annie Leibovitz, a famous American portrait photographer, worked with Gainsbourg in the studios of American contemporary artists Ellsworth Kelly and Brice Marden at Storm King Art Center in New York. German artist and photographer Juergen Teller made an artistic short film of model Freja Beha, who posed in the Scandinavian Pavilion of the Venice Biennale. American fashion photographer Bruce Weber shot models walking in a barren territory that accentuates the minimal, contemporary collection of the fashion house against a backdrop of primitive hills and fields. 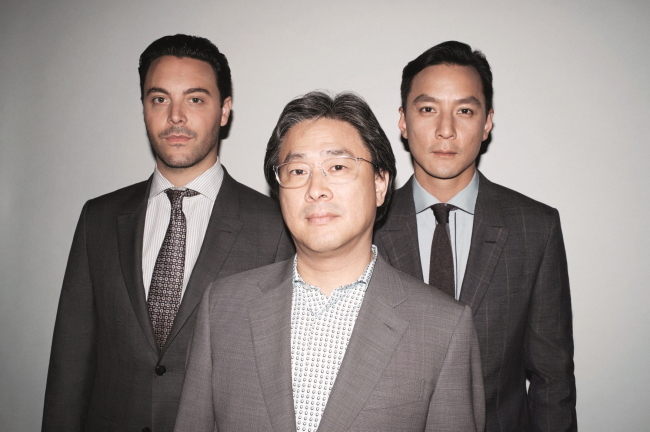 Italian menswear brand Ermenegildo Zegna announced a film collaboration with acclaimed Korean movie director Park Chan-wook. The movie entitled “A Rose Reborn” will combine the image of a male figure that Zegna canonizes ― a successful and charismatic man ― and Park’s unique storytelling, symbolism and visual sensibility, according to the fashion house. “I feel excited working with Ermenegildo Zegna and its creative director Stefano Pilati. I would like the new generations to share visions that cross geographic boundaries and cultural differences,” said Park. The three-episode movie will be released online throughout September and October. The final episode will premiere during the closing event of the Shanghai Fashion Week on Oct. 22.